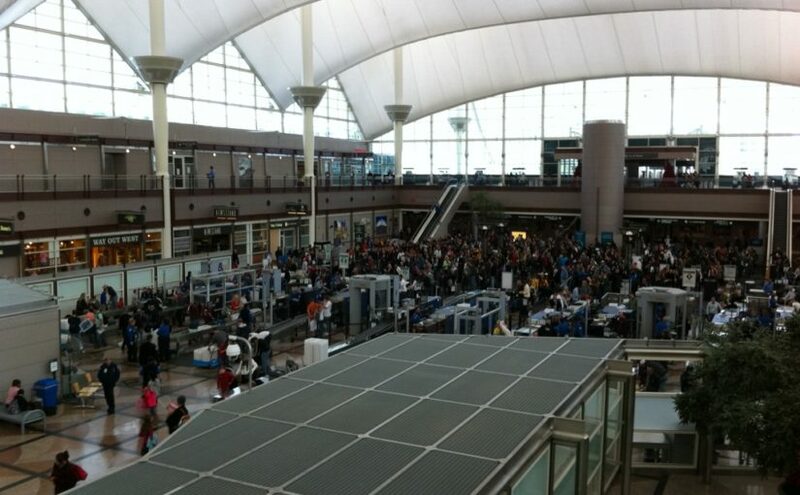 PHOTO COURTESY | TUCKER W.
Look at all these people happily and patiently waiting in line to take off half their clothes and walk through the single security checkpoint. We’ve been on the verge of abandonment issues for quite a while now. Our Sun went out for smokes six months ago and took its sweet time getting back. Now that it’s back, we can finally figure out what exactly took my sunshine, my only sunshine, from me. Turns out it was held up by America’s greatest threat. The Sun went on vacation down South to get away from the cold and sadness that has inhabited Fargo for the winter. The Sun, when finished with his Bahama mama and also his drink, decided it was time to come home. While in for TSA, his new Hawaiian shirt must have made him stand out because he was randomly checked. When asked where he was from, the Sun responded with 91 million miles into the cold uncaring void of space. “Pretty far,” said the TSA agent as the Sun was pulled aside. During the cavity check, the Sun was found to be in possession of roughly 5 x 10^29 kg of helium. “Well, well, well, what do we have here?” The Sun was informed this was contraband. What if someone used it to create an explosive device? The Sun kindly informed the agent that it was, in fact, an inconceivably large explosive device. The TSA agent stared in disbelief. He’d waited his whole life for this moment. He then lost the ability to distinguish shape, as he had been staring into the Sun for several minutes. Fate is a double-edged sword. For the last two months, the Sun has been detained, trying to inform the agents that he is a U.S. citizen. When we planted our flag on the moon, we actually claimed all celestial bodies. Neil Armstrong sealed the deal with a dibs. TSA was not having it. There was intense questioning. There were threats. There was water poured on it, for reasons the Sun did not entirely understand. The real story was the legal battle. The Sun found a lawyer who hates the legal system and doesn’t always play by the rules. He convinced the Sun to give him a chance. He straightened his tie and worked tirelessly to prove he’s just as good, if not better, than any preppy Harvard grad. The Sun was finally released due to overcrowding. A free ball of space gas, the Sun is finally back to light up our lives. Freshly tatted with new and questionable loyalties, it hangs in the sky marking the world as its turf. Now people can take to the streets and beaches, bike paths can come back to life and the birds are welcome to return. If they can make it.